Chinmay Ananda & Dr Steven Enticott – INVITE DETAILS BELOW! Co-contributions for super is something you should DO. Yes the government reduced the matching rate to 50% (meaning a 50% return on your money instead of a 100% return!!) and lowered the maximum amount to $500 yet It is still money FREE from the ATO to your super! Stocktakes, if you have stock you will need to get out there and do the dreaded count Stock can also be counted on Cost, Replacement, or Actual values. Individuals make sure you have paid for all your work related expenses prior to June 30, bring ones forward if you can when you’ve had a great income year becomes even more important. For those aged 50 the concessional cap payments into super are $35,000 and for the rest of the younger ones they can contribute $30,000 per year. For under 65’s they may be able to also contribute $540,000 Non-Concessional all at once. Significant budget 2018 changes consult with CIA before making any changes but the main one to consider now is the new maximum for tax deductible contributions will be $25,000 for all age groups. The government is proposing to address the housing affordability crisis with a package of tax, superannuation and other measures. Additionally, the Budget contains measures intended to ensure the integrity of the tax and superannuation system. A limited amount of an individual’s superannuation contributions made from 1 July 2017 may be withdrawn from 1 July 2018 onwards for a first home deposit. The CGT discount for Australian resident individuals investing in qualifying affordable housing will be increased from 50% to 60% from 1 January 2018. The foreign resident CGT withholding rate will be increased to 12.5% and will apply to Australian real property and related interests valued at $750,000 or more. An annual levy of at least $5,000 will be imposed on foreign owners of under-utilised residential property. The principal asset test in Div 855 of the Income Tax Assessment Act 1997 will be applied on an associate inclusive basis for foreign tax residents with indirect interests in Australian real property. The multinational anti-avoidance law will be amended to prevent the use of foreign trusts and partnerships in corporate structures for tax minimisation, with retrospective effect from 1 January 2016. Hybrid mismatch rules used by banks to minimise tax in cross border transactions will be prohibited from 1 January 2018. The government will provide $28.2m to the ATO to target serious and organised crime in the tax system. The Black Economy Taskforce has delivered an interim report to the government and the government has accepted some recommendations for immediate action. Sales suppression technology and software, used to understate business income by deleting electronic transactions, will be prohibited. Funding for the ATO’s Black Economy Taskforce audit and compliance activities will be extended until 30 June 2018. A two-year public information campaign from 2016/17 will highlight the government’s key tax integrity measures. Access to diplomatic and consular concessions under the Indirect Tax Concession Scheme has been extended. 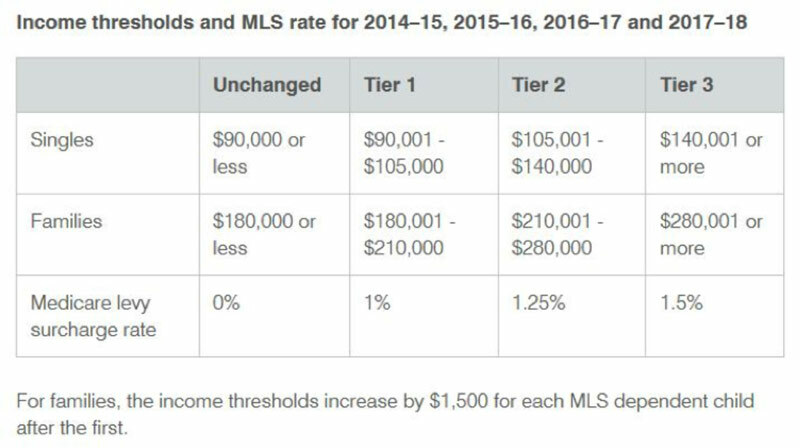 The Medicare levy low-income thresholds for singles, families, and seniors and pensioners will increase from the 2016/17 income year. Source: Budget Paper No 2, p 30; Treasurer’s media release “Reducing Pressure on Housing Affordability”, 9 May 2017. Managed investment trusts (MITs) will be able to invest in affordable housing, allowing investors to receive concessional tax treatment. Source: Budget Paper No 2, p 27; Treasurer’s media release “Reducing Pressure on Housing Affordability”, 9 May 2017. The government will extend the taxable payments reporting system (TPRS) to contractors in the courier and cleaning industries. The measure will have effect from 1 July 2018 and is estimated to have a gain to revenue of $318m in the forward estimates period. This measure brings payments to contractors in the courier and cleaning industries into line with wages paid to similar workers, which are reported to the ATO. Businesses in these industries will need to ensure that they collect information from 1 July 2018, with the first annual report required in August 2019. The government will provide additional funds of $32m to extend the ATO’s audit and compliance programs targeting black economy risks. This funding was to expire on 30 June 2017. Under this measure, a further year of funding will be provided for the ATO’s “Strengthening Foundations” and “Level Playing Field” programs. “Strengthening Foundations” focuses on businesses with a turnover between $2m and $15m that have disengaged from the tax system. The “Level Playing Field” program involves audit, review and intensive follow up and targets small businesses with turnover below $2m. These programs are directed at changing black economy and related behaviours such as non-lodgement, omission of income and non-payment of employer obligations. The government will make decisions about the future of these programs beyond 2017/18 in light of the Black Economy Taskforce’s final report, which is expected to be delivered in October 2017. This measure is estimated to have a net gain to the budget of $447.2m over the forward estimates period. The revenue includes an additional GST component of $109.8m which will be paid to the states and territories. Source: Budget Paper No 2, pp 35–36. This measure is designed to improve cash flow for small businesses, providing a boost to small business activity and investment for another year. It is estimated to have a cost to revenue of $650m over the forward estimates period. Source: Budget Paper No 2, pp 21–22; Treasurer’s media release, “Stronger growth to create more and better paying jobs”, 9 May 2017; Minister for Small Business media release, “Budget boost for small business”, 9 May 2017; and Budget 2017-18 Glossy: Stronger growth to create more and better paying jobs, pp 5–6. Digital currency is currently treated as intangible property for GST purposes. Consequently, consumers who use digital currencies as payment can effectively bear GST twice: once on the purchase of the digital currency, and again on its use in exchange for other goods and services subject to GST. This measure will ensure purchases of digital currency are no longer subject to GST. Removing double taxation on digital currencies will remove an obstacle for the financial technology (fintech) sector to grow in Australia. Source: Budget Paper No 2, pp 22–23. This measure is estimated to have a gain to tax revenue of $8.2b over the forward estimates period (across all heads of revenue, not just the Medicare levy). All revenue generated by the Medicare levy will be used to support the National Disability Insurance Scheme (NDIS) and to guarantee Medicare. For example, $9.1b will be credited over the forward estimates period to the NDIS Savings Fund Special Account when it is established. Source: Budget Paper No 2, pp 24–25; and Budget 2017–18 Glossy: Budget overview, p 16. This measure is estimated to have a cost to revenue of $180m over the forward estimates period. A major bank levy (the levy) will be introduced for authorised deposit taking institutions (ADIs), with licensed entity liabilities of at least $100b, from 1 July 2017. The $100b threshold will be indexed to grow in line with nominal gross domestic product. The levy is forecast to raise $6.2b over the forward estimates period, net of interactions with other taxes (principally corporate income taxes). The levy is designed to assist with budget repair and to provide a more level playing field for smaller banks and non-bank competitors. It complements prudential reforms being implemented by the government and APRA. Source: Budget Paper No 2, p 24; and Budget 2017–18 Glossy: Guaranteeing the essentials for Australians, p 17.